We thoroughly enjoyed our stay at Rachele's ! She made us feel rightly at home. We felt as though we were staying with family. It was incredibly clean and comfortable. A quick easy 5 minute train into the heart of Sorrento. Rachele is one of the friendly hosts and provides an excellent place to stay. She provided a really yummy breakfast, great tips about piano Di Sorrento and the Amalfi. The room is very comfortable and spacious. We stayed for 5 nights and it was perfect to explore the whole area of Amalfi. I would highly recommend this place. Rachele was so helpful and accomodating and bought us the most wonderful Italian lemon sweet for breakfast one morning! Her place was so clean and the room was huge and beautifully furnished. It was a pleasure having breakfast and a chat with Rachele in the mornings. Location is great, in the centre of Piano and close to the train station. We would definitely stay again. Excellent !! Rachele was so welcoming and kind it was like staying with family. Quick to reply and communicate. Train station is about a 3-4 min walk. Extremely clean home and cleans daily for guests. Makes amazing croissants fresh in the morning with coffee. Comfortable bed and soft linens. Provides maps and suggestions of what to do in the area. She even did our laundry and found me fresh figs from the grocer. Lots of restaurants nearby, a 15 min walk from the free beach. Would stay again! Rachele is a fantastic host who goes out of her way to make sure your comfortable. Her apartment is beautiful, very clean, in a great location and has great wifi. 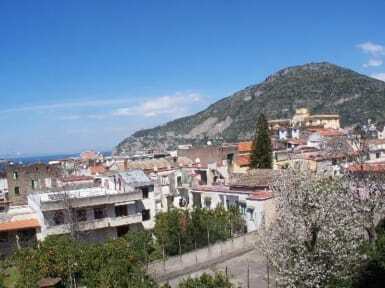 Only a couple minutes walk to the train station, it’s a 4 minute journey to Sorrento and costs 1.30. Rachele has plenty of information as well to help you get anywhere you’d like. She’s happy to sit down and explain the local train and bus system and help you plan your trip. She also make a beautiful breakfast, we loved the cannoli!! Rechele is an amazing host. She tried to do her best for us, giving some tips about the city and also discounts for some places. The room was very comfy and very clean. The breakfast was awesome. You will feel comfortable but just a remain that you will be at her house so you need to respect the requirements. SUPER clean. Very helpful and friendly. 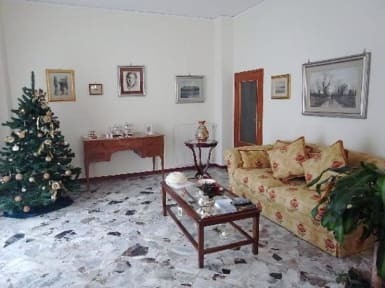 Close to train station, grocery store, and best restaurant in Piano (Osteria Arcadia). We booked two nights and decided to stay for an extra two after coming to the realization that this was the perfect home base for trips to Positano, Amalfi, and Capri. Less busy and more affordable. Rachelle was lovely! However I would not recommend this place if you want to party or have little contact with your host. We had an absolutely amazing time in Piano di Sorrento, it’s a beautiful area and I highly recommend staying. Rachele was lovely, and she takes great pride in her house. There’s a delicious breakfast every morning, be warned it is very sweet. She cleans the rooms every day, which is great, but I suggest you put your things away to save both yourself and Rachele confusion over where things have been moved to. Overall it was a lovely place to stay, great location, and a friendly host, thank you!